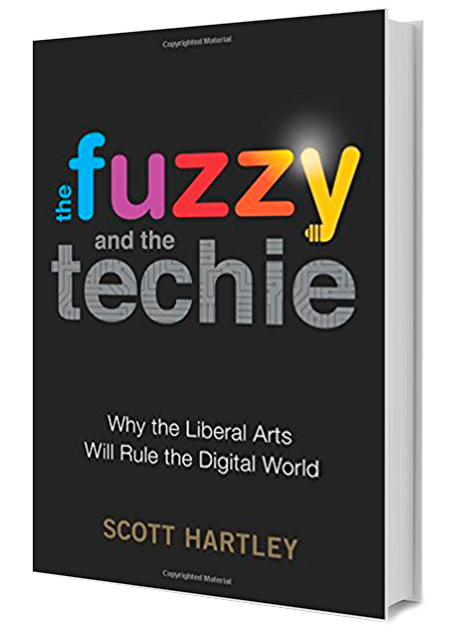 Scott Hartley is a venture capitalist and author of THE FUZZY AND THE TECHIE (Houghton Mifflin Harcourt, 2017), a Financial Times business book of the month, and finalist for the Financial Times and McKinsey & Company's Bracken Bower Prize for an author under 35. He has served as a Presidential Innovation Fellow at the White House, a Partner at Mohr Davidow Ventures (MDV), and a Venture Partner at Metamorphic Ventures. Prior to venture capital, Scott worked at Google, Facebook, and Harvard’s Berkman Center for Internet & Society. He has been a contributing author at MIT Press, and has written for publications such as the Financial Times, Forbes, and Foreign Policy, and been featured in Harvard Business Review and The Wall Street Journal. He holds three degrees from Stanford and Columbia, has finished six marathon and Ironman 70.3 triathlons. He is a Term Member at the Council on Foreign Relations, and has visited over 70 countries. Sign up for Scott Hartley newsletter, and more.